Microsoft on Thursday said that 800 million devices are now running Windows 10, a 100 million increase in less than six months. 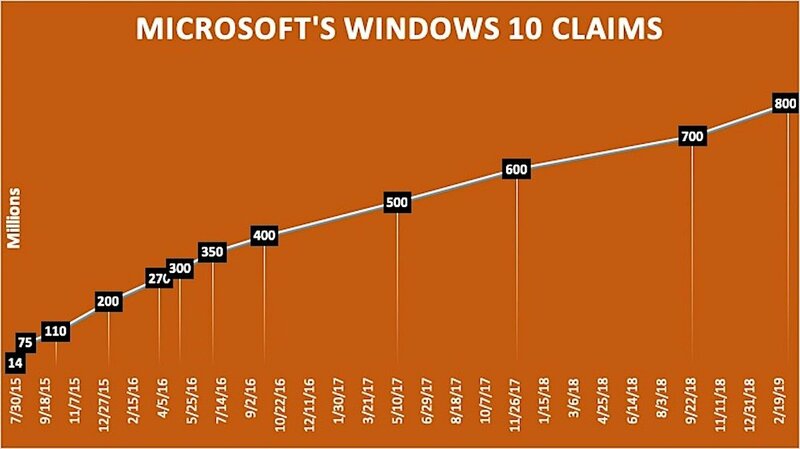 Microsoft has regularly touted numbers for Windows 10, most of the time, although not always, by citing the active monthly devices, or those personal computers, tablets and other systems used within the last month. Using the 12-month average change in user share, Computerworld recently forecast that nearly 41% of all Windows PCs will be running Windows 7 at the moment it falls off Microsoft’s support list.